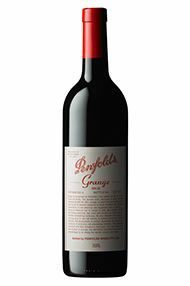 Penfolds- iconic 2003 Grange is Shiraz blended with 3.5% Cabernet Sauvignon from Coonawarra. It was aged for 15 months in 100% new American oak. 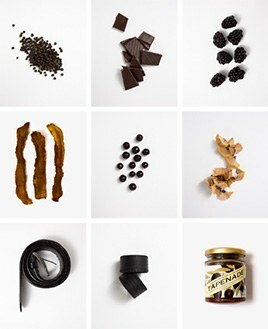 Opaque purple-colored, it offers up aromas of cedar, cigar box, leather, Asian spices, and blueberry. On the palate it is layered but a bit short on depth and grip with only moderate length. It will evolve for 5-7 years and drink well from 2014 to 2030. 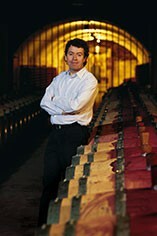 The Wine Advocate - Penfolds- iconic 2003 Grange is Shiraz blended with 3.5% Cabernet Sauvignon from Coonawarra. It was aged for 15 months in 100% new American oak. Opaque purple-colored, it offers up aromas of cedar, cigar box, leather, Asian spices, and blueberry. On the palate it is layered but a bit short on depth and grip with only moderate length. It will evolve for 5-7 years and drink well from 2014 to 2030. This is a good but not great vintage of Grange making it vastly overpriced. Parker - Penfolds- iconic 2003 Grange is Shiraz blended with 3.5% Cabernet Sauvignon from Coonawarra. It was aged for 15 months in 100% new American oak. Opaque purple-colored, it offers up aromas of cedar, cigar box, leather, Asian spices, and blueberry. On the palate it is layered but a bit short on depth and grip with only moderate length. It will evolve for 5-7 years and drink well from 2014 to 2030.